The Next War in Lebanon is an operational level wargame of a speculative Israeli invasion of Lebanon in the near future. 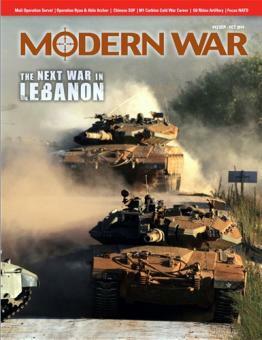 The context is an Israeli invasion with the goal of eliminating the presence of Hezbollah terrorist group, and presumes a much larger invasion than the 2006 incursion (which is also included as a scenario). 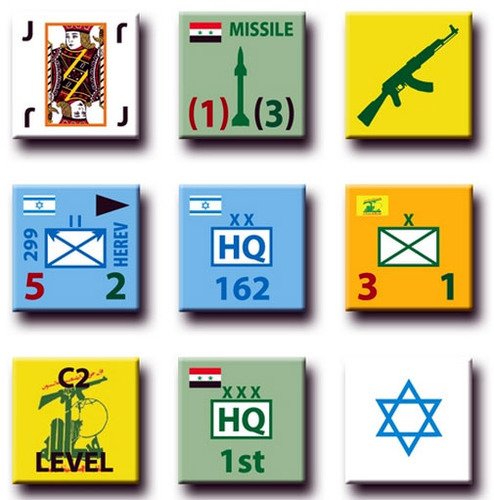 One player (the IDF) is assigned the role of the IDF (Israeli Defense Force) commander, and the other player is assigned the role of the Hezbollah forces, as well as Syrian and Iranian forces if certain events occur to cause their entry into the game (or players may agree to have these additional forces in the mix from the beginning of the game instead). 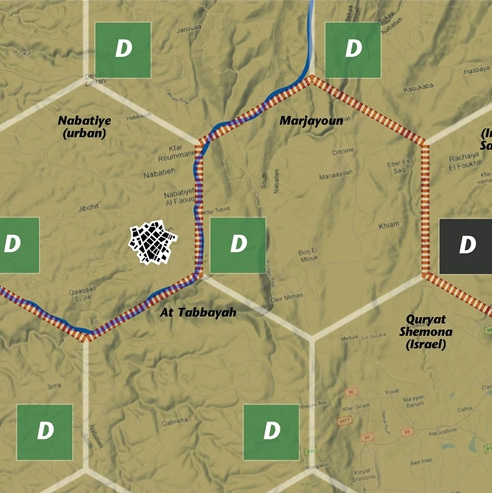 The game map features northern Israel and southern Lebanon, divided into 21 large hex territories, representing three categories of terrain: Urban (a major population center, such as the cities of Tyre, Sidon and Nabatiye), Populated (full of villages and small towns, and numerous roads), and Remote (rough terrain with few inhabitants or roads.) Stacking in any hex zone is unlimited, and units move and conduct operations within these hex zones to win the game.